Birchbox is changing the way consumers discover and purchase beauty, and lifestyle products. 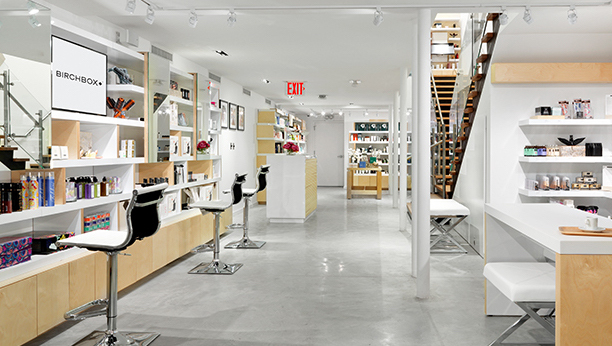 We started Birchbox in 2010 to redefine the way consumers discover and shop for beauty and grooming. The company quickly grew from an exciting idea to a business that has materially shaped the beauty industry: we’ve activated an enormous group of underserved, untapped consumers, awakening their relationship with beauty by making the experience relevant, easy and fun. Our innovation isn’t the simple concept of delivering a box of samples — it’s understanding that although not everyone is passionate about beauty and grooming, everyone still deserves to have a great experience finding, trying and buying it. Birchbox operates in six countries, reaching more than 2.5 million active customers with a portfolio of 500 best-in-class prestige brand partners. We have retail locations within select Walgreens stores across the US as well as a flagship Birchbox store in Paris. Birchbox is seeking a resourceful and passionate Backend Engineering Intern for a paid, full-time position this summer. As a Backend Intern you will be working alongside our functional teams on a self-contained project using agile methodologies. You will collaborate with other engineers, product designers, and other business stakeholders. Possible projects include expanding our APIs to support new subscription strategies, revamping our billing infrastructure, improving our operations platform, and modernizing our product information management system. Our backend stack is comprised of Java Spring, Ruby on Rails, MySQL, and Docker, running on AWS infrastructure. You want to gain some exposure to the software engineering development lifecycle — regularly contributing to our codebases, planning discussions, and documentation. You have some software engineering experience, whether it be from college, self-taught, coding bootcamp, or elsewhere. You have experience working with some of the following: web application development, relational databases, UNIX/Linux systems, and cloud-based infrastructures. You are as curious and passionate as we are about building systems and experiences that people love. Evolving our software and systems architecture to support a rapidly growing customer base across multiple countries and languages. Designing and implementing the best user experience for our customers. We strive to revolutionize online retail. Using data, complex algorithms, and statistics to personalize the Birchbox experience for our customers, both offline and online. Want to learn more about Birchbox? Visit Birchbox's website.